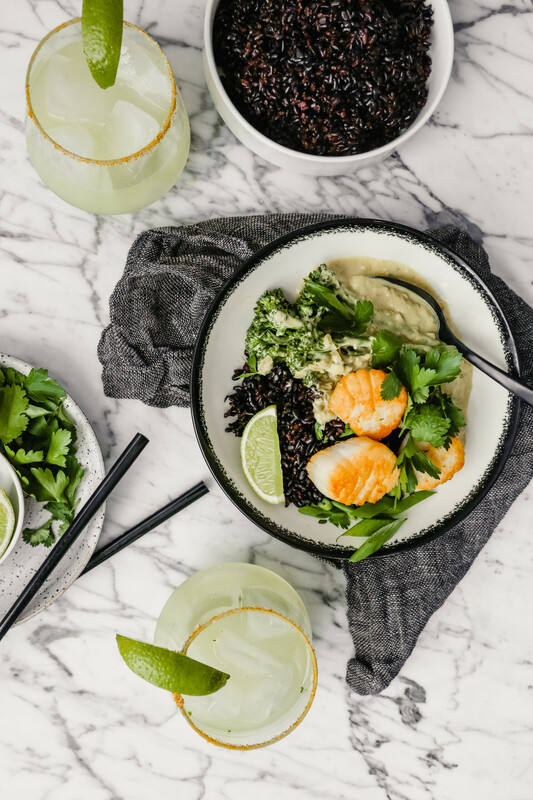 Easy Thai Green Coconut Curry with Scallops is the perfect I-want-to-impress-you meal. Don’t get me wrong, it comes together quickly and is very easy to make. But it’s also pretty darn impressive. Not sure it gets much better. 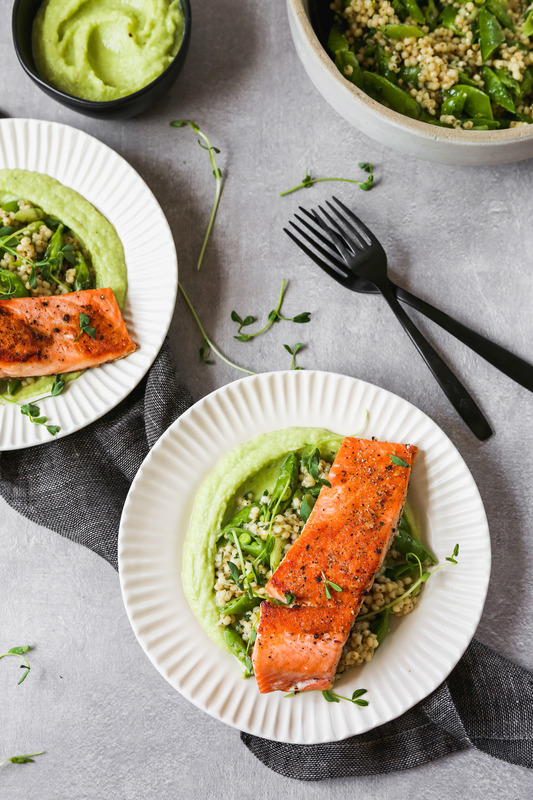 Plus, there are quick a few components that can be made ahead, which means you can get this dinner on the table in less than 30 minutes easily! Grab a grocery list, make-ahead tips and menu plan! The Thai green coconut curry sauce get’s it’ ultra-creamy texture from canned coconut milk. I use full-fat in this sauce because it creates a more silky-smooth sauce. 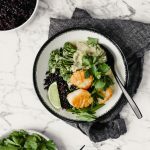 However, if you’re looking to cut back on fat, go right ahead and use light canned coconut milk bearing in mind that the sauce won’t be as thick or creamy. Learn how to sear scallops! What’s in green curry paste? Green curry paste is most often made with coriander, cumin, white peppercorns, green Thai chiles, shallots, cilantro, ginger, cilantro, turmeric root, kaffir lime leaves, garlic, salt and sometimes shrimp paste. Can you freeze curry paste? Yes you can freeze curry paste. The best and most efficient way to do this is to scoop any remaining curry paste into the wells of an ice cube tray. Transfer the tray to the freezer and freeze until solid. Once the curry cubes are solid, pop them out and transfer to a zipper-lock bag; store in the freezer and use as needed. Frozen curry should last up to 6 months. Homemade curry paste will last up to 2 weeks in the refrigerator in an airtight container. Store-bought curry will last up to 2 months in the refrigerator. Is this Thai Green Coconut Curry vegan? This green curry sauce recipe is not vegan. However, it can modified to be! In fact, the Thai Kitchen green curry that I recommend is vegan, which means this recipe can very easily be made vegan. Skip the scallops and instead use seared tempeh. Skip adding the fish sauce to the green curry sauce and instead add a tablespoon of liquid aminos. 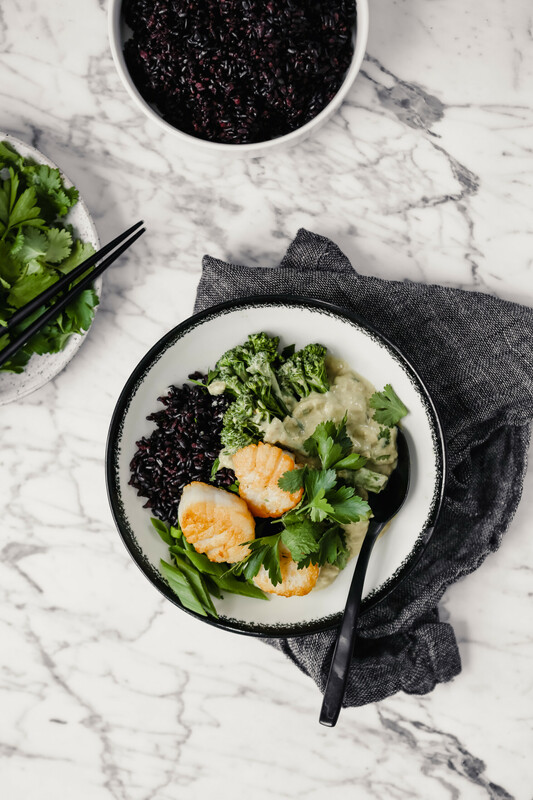 Chewy black rice is the base for crisp-tender broccolini, silky and creamy Thai green coconut curry and perfectly seared scallops. Ready in 40 minutes, this is an easy meal that’s sure to impress. Heat 2 teaspoons coconut oil over medium-high in a sauté pan, add onion, serrano and ginger and cook until softened, about 5 minutes. Stir in curry paste and garlic and cook 30 seconds. Stir in coconut milk, fish sauce and honey; bring to a simmer and cook until slightly thickened and flavors have melded, about 12 minutes, stirring occasionally. Stir in broccolini, cover and cook until tender, 8–10 minutes. Meanwhile, heat 1 tablespoon vegetable oil in a skillet over high heat until just smoking. 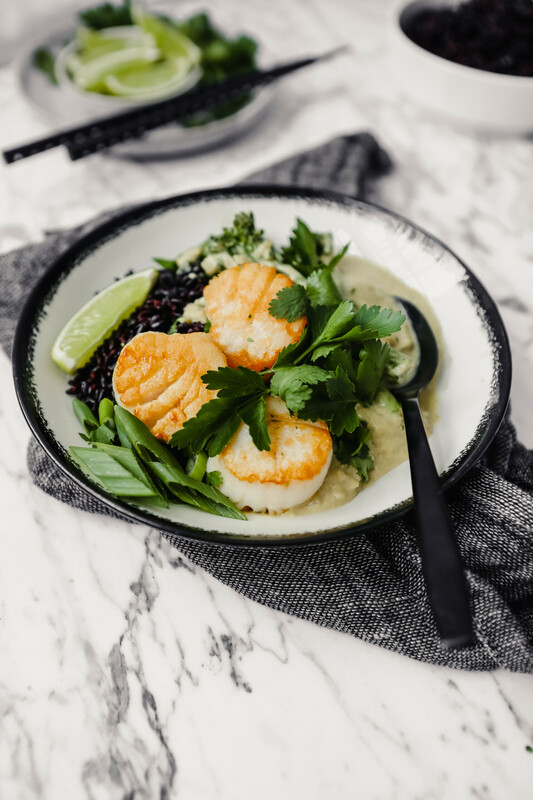 Add half of the scallops and cook, without moving, until browned and naturally release, 1½–2 minutes, flip and cook until browned and naturally release, about another 1½ minutes; transfer scallops to a plate. Repeat process with remaining tablespoon vegetable oil and scallops. Divide rice, curry mixture and scallops between 4 serving bowls. Sprinkle with cilantro, basil and scallions. Serve with lime. Skip the scallops altogether or top with seared tempeh. Edamame would also be a great addition to the sauce for an added boost of protein. 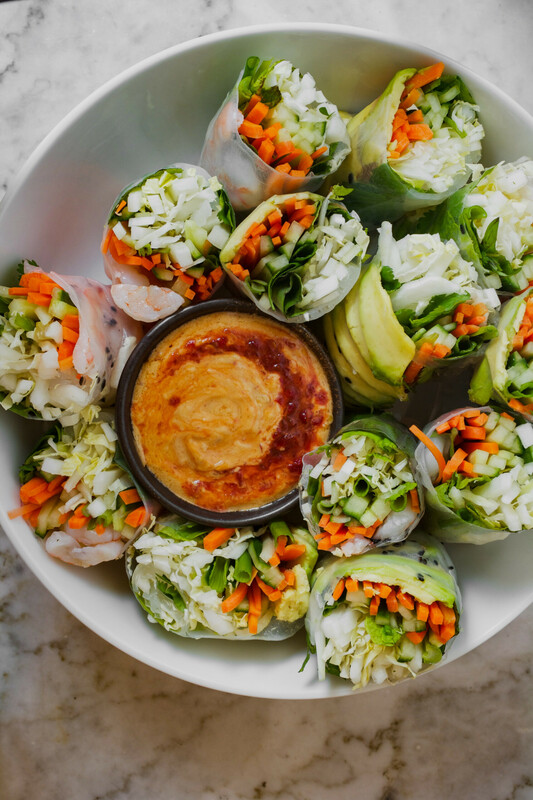 Skip the fish sauce and add a tablespoon of liquid aminos. 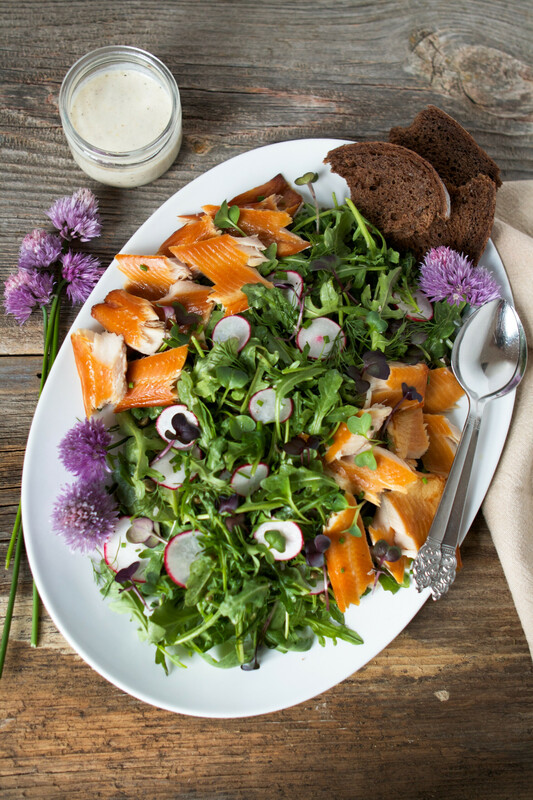 More Spring Fish & Seafood Recipes!